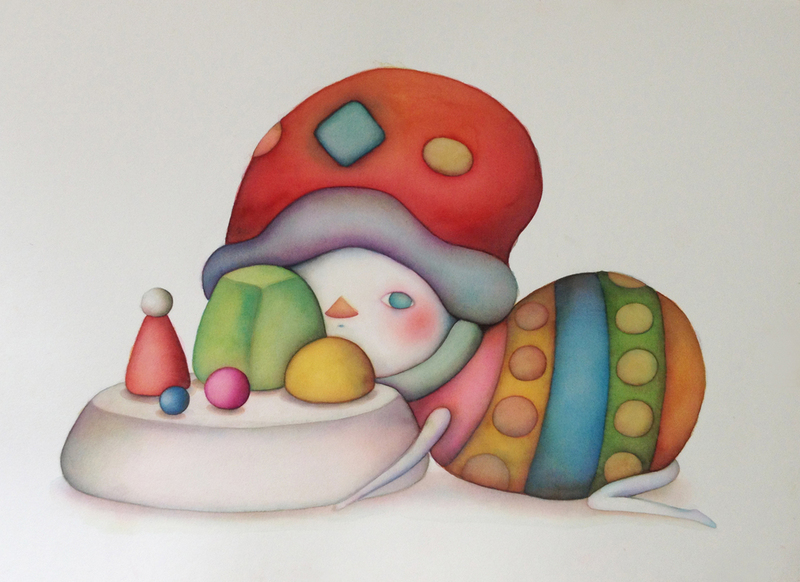 "White Dreams" is a watercolor series Pucky began in 2013. In the paintings the characters are dressed in big, whimsical costumes full of bright colors, which create a stark contrast with their unmoving expression. The series has been exhibited at Macao Art Museum and Affordable Art Fair in Hong Kong.